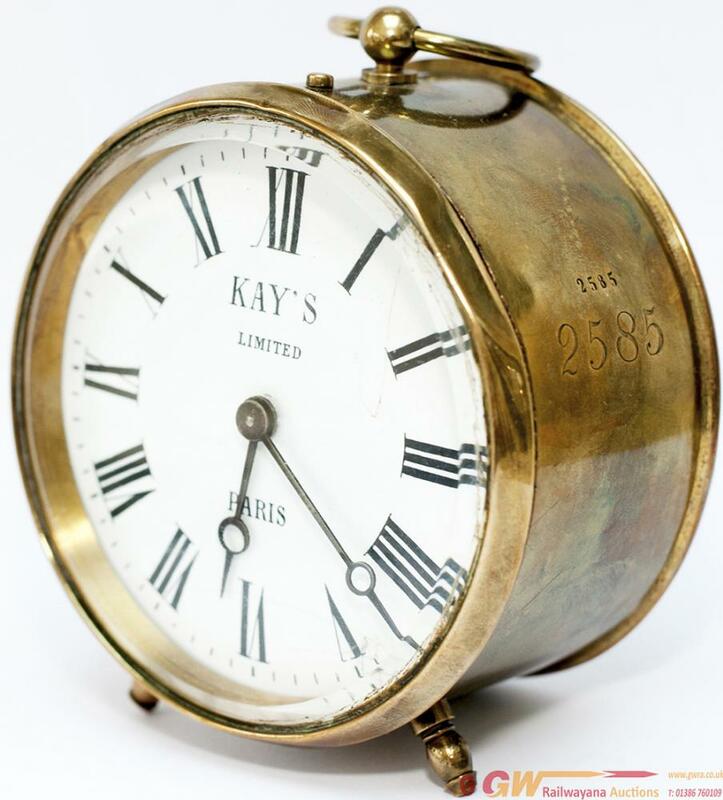 GWR brass drum clock with enamelled dial KAY'S LTD PARIS. The case and case back is hand engraved with the number 2585 which is also stamped into the case, the movement has the GWR modified winder fitted. In good clean working condition. An early version of these popular clocks.